Rich Energy opted to sign with Haas because they feel the American team is “head and shoulders” about their rivals. Last season Rich Energy were initially linked to Racing Point, formerly known as Force India, revealing that they had plugged £30m into the team prior to their sale to Lawrence Stroll. The British energy drink company reportedly turned their focus onto Williams with reports claiming they could sign as the Grove team’s 2019 title sponsor, replacing Martini. They instead signed with Haas. William Storey, CEO of Rich Energy, said: “By every metric they were vastly superior. “They had the best business model in the sport, they were uniquely positioned to exploit regulation changes and I think they are run in a very, very unpretentious fashion. “I think they are proper racers, Gene Haas is a wonderful businessman who is approaching motor racing in the right way, Guenther Steiner is a brilliant team principal and they have got two drivers with personality. 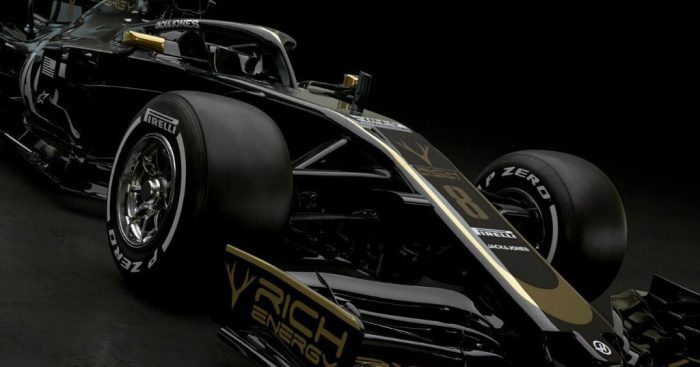 Rich Energy and Haas unveiled the team’s 2019 livery on Thursday, featuring a black-and-gold colour scheme.